Eilish is a Melbourne based singer-songwriter known also as the lead singer of much loved Melbourne act Frida. She toes the line between pop, electronic and ballad. 'The Feeling' is determined to lull and then excite; the characteristic vocal is the only constant here. This track pushes the latent unease of 'Here' into overdrive, breaking the surface of the water and propelling towards the final chorus with undeniable assurance. Exhibitionist is the new project from Sydney-based Kirsty Tickle. Debut single Hands features Tickle's powerful but vulnerable vocals of the co-production of Jonathan Boulet. First single ‘Hands’ is laid bare, radiating vulnerability and a cold elegance not found in PD’s fiery aural affront. Woodwinds feint subtly between rolling drums, while vocals float above hazy synths. Performed by Kirsty Tickle except drums by Jonathan Boulet, mixed&mastered by Jonathan Boulet. Produced by Jonathan Boulet and Exhibitionist. Yon Yonson are a Sydney trio making electronic music fused with pop melodies. They have a strong focus on lyricism and writing from an Australian perspective. 'This Evening', verges on ballad territory, with a spacious soundscape and some gorgeous airy keywork, allowing Andrew Kuo to wax lyrical with a classic Australian vernacular. The song cleverly takes on everything and everyone from Sydney's gentrification to David Koch, whilst also dealing with some darker themes. Lonelyspeck is a bedroom producer / vocalist / songwriter from Adelaide who creates every element of their music on their own, fusing R&B and bass music, pop-hooks and noise. 'Happy New Year' is not a "single" per se, but a seasonal release from Lonelyspeck to collide with the New Year. It is the second track from their upcoming Lave EP and it's a six minute slow burner that feature's Sione's incredible voice and twisted production. Sydney based electronic trio who have been writing, recording, mixing and releasing their own music and making their own videos from their bedroom since 2010. CISIA combes infectious pop melodies with cynical lyrics and a melodic edge to the song that doesn't feel altogether comfortable. The central element of the song is singer Andrew Kuo's floating vocals, gliding in drug addled haze, over the tingling of synthesized bell sounds. Lonelyspeck is a bedroom producer / vocalist / songwriter from Adelaide who creates every element of their music on their own, fusing R&B and bass music, pop hooks and noise. The track is an unexpectedly hooky piece of alternative-pop, drawing melodic inspiration from commercial radio as much as from bass music. "The concept behind the track is that I want to be exposed and not hide my feelings even if they're awkward or seemingly trivial." This track is featured on the compilation Imperium in Imperio II, released by TEEF Recordings.Aiya is a duo comprised on Ayten and Felicity, based in Victoria. This is a bouncy, fun track originally written for a children's cartoon. This track is featured on the compilation Imperium in Imperio II, released by TEEF Recordings.Alice Ivy (real name Annika Schmarsel) is a sampling producer from Melbourne. This track was arranged and produced by Alice Ivy (Annika Schmarsel). This track is featured on the compilation Imperium in Imperio II, released by TEEF Recordings.Emerson Snowe is the music of Jarrod M. Mahon, an artist from Brisbane, QLD. This track holds Mac Demarco / Tobias Jesso Jr vibes. 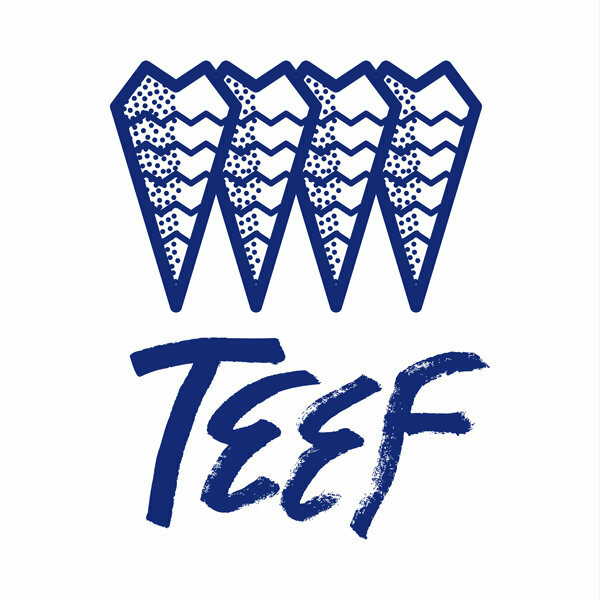 This track is featured on the compilation Imperium in Imperio II, released by TEEF Recordings.Fishing are an electronic duo from Sydney. The first new music from Sydney electronic duo Fishing in over a year. This track is featured on the compilation Imperium in Imperio II, released by TEEF Recordings.HϟR is the duo Daniel Gordon and Joji Malani (guitarist from band Gang of Youths). A slow burning number, featuring Joji Malani on Guitar and Vocals and Daniel Gordan on Synth and Percussion. The track was produced by HϟR and Timothy Watt. This track is featured on the compilation Imperium in Imperio II, released by TEEF Recordings.IljusWifmo are an electronic music duo from Sydney. This Sydney bass producer duo have made an upbeat banger. This track is featured on the compilation Imperium in Imperio II, released by TEEF Recordings.Jack Grace is a music producer and vocalist from Sydney. This is the first new music from Sydney producer vocalist Jack Grace in over 6 months. This track is featured on the compilation Imperium in Imperio II, released by TEEF Recordings.Japanese Wallpaper is an electronic music producer from Melbourne. This is the breakout single from Melbourne producer Japanese Wallpaper remixed using only piano by Lonely Halls (a pseudonym for Sydney producer Anatole). This track is featured on the compilation Imperium in Imperio II, released by TEEF Recordings.Making are a Sydney-based noise band. Hence Therefore is a producer from Sydney. Sydney noise band Making remixed by Sydney producer Hence Therefore. This track is featured on the compilation Imperium in Imperio II, released by TEEF Recordings.No Local is a new project from Melbourne native Snowy Nasdaq. This track was written and produced by Snowy Nasdaq and Zachary Levi Denton. This track is featured on the compilation Imperium in Imperio II, released by TEEF Recordings.Physique is a boogie and disco based project from Sydney based producer Andrew Elston. This track provides a funky soulful outro to the Imperium in Imperio II compilation. This track is featured on the compilation Imperium in Imperio II, released by TEEF Recordings.Ribongia is a Sydney producer signed to October Records. This track is bouncy, jungle toned fun from Sydney producer Ribongia. This track is featured on the compilation Imperium in Imperio II, released by TEEF Recordings.SAATSUMA are a collaborative electronic project based in Melbourne. This track was written, produced & mixed by Memphis Kelly & Cesar Rodrigues. This track is featured on the compilation Imperium in Imperio II, released by TEEF Recordings.Sampa The Great is a hip hop and electronic artist based in Sydney. This is the 12th track to be included on the compilation Imperium in Imperio II.